Well, 30 Rock has been hauled off to the non-NBC graveyard, leaving behind only a wistful montage of rapid-fire flashbacks and a bitter taste in your mouth. So allow Ben & Jerry’s to wash that out with something only slightly sweeter: Its new Liz Lemon Greek Frozen Yogurt, the company’s recently promised 30 Rock flavor that—in a fitting tribute to the way 30 Rock lived its TV life—doesn’t really seem to get 30 Rock at all. 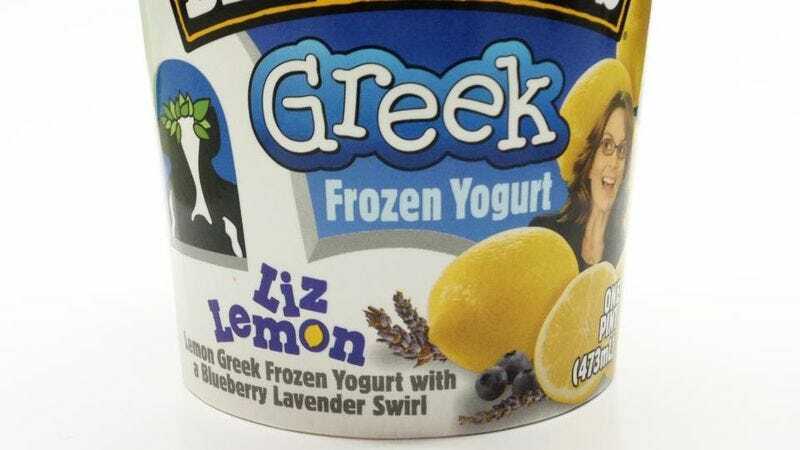 Indeed, beyond the obvious “Lemon” pun, chosen from hundreds of far more clever possibilities, it’s hard to imagine Liz Lemon ever opting for frozen Greek yogurt over actual ice cream, let alone lemon-flavored Greek yogurt with a “blueberry lavender swirl.” Such a combination would be more aptly named Good God Lemon, in an Alec Baldwin sputter of disgust. But alas, chalk it up to one last instance of 30 Rock being misunderstood, then maybe swirl that chalk up in some chocolate ice cream and eat it instead of this lemon-lavender stuff.